Relax in style with this impeccable (2) bedroom quality corner apartment, offering glorious views over the boat harbour through the seaway to the Pacific Ocean. 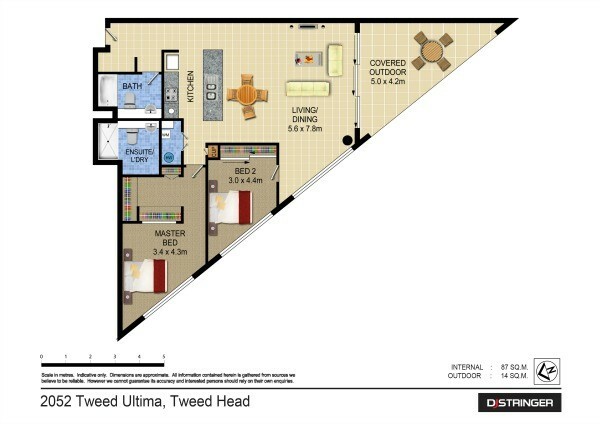 Tweed Ultima is on the fringe of Coolangatta & Tweed border line where you can leave your car at home and enjoy the local lifestyle, by foot or by transport. To dance the night away, live entertainment, shows & dining, you really can't deny the fun times to be had at Twin Towns, which is also across the road. If you are looking for security, comfort and convenience then your search is over. This quality light filled roomy apartment, presents as new and will appeal to any astute home owner or investor.